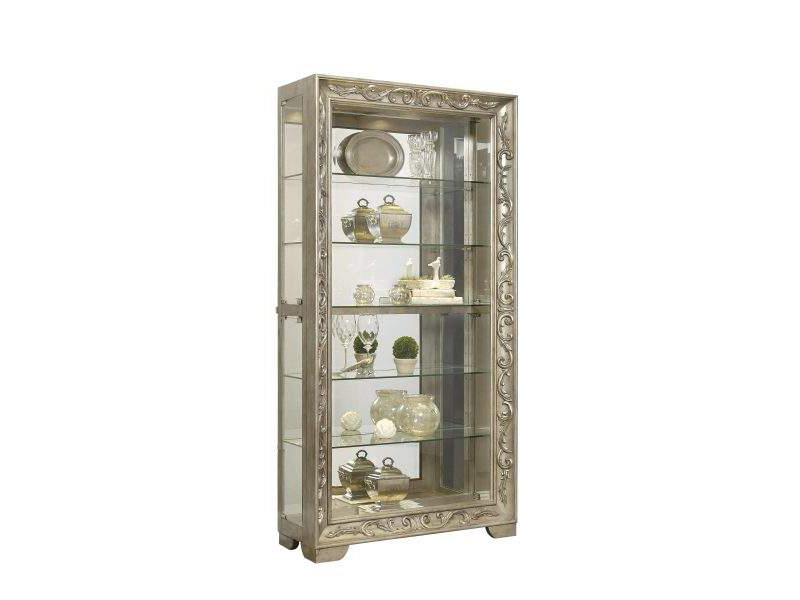 This ornate curio is a stunning piece. The scroll moldings are intricate and detailed, and exude a luxe essence. A platinum finish is striking and unique. This piece makes a statement in any formal dining or living room.